Franklin, Wisconsin (February 2019) – ROC Ventures and the Milwaukee Milkmen, southeastern Wisconsin’s newest sports franchise, today announced a series of partnerships and sponsorships for the new professional league baseball stadium, Routine Field, at the new Ballpark Commons development. The latest sponsorship agreements include Milwaukee-based companies Zuern Building Products, Milwaukee Sausage Company and WaterStone Bank. Each partner exhibits a focused vision on positively contributing to the Greater Milwaukee Area, which is in direct alignment with ROC’s mission, said Mike Zimmerman, CEO of ROC Ventures. Zuern Building Products will be the title sponsor of the Zuern Deck, located within Routine Field’s premiere ticketed “Hop Yard” beer garden and concession area. The Zuern Deck is designed as a patio and deck experience that will be great for group outings and corporate and client events. Hop Yard tickets include all you can eat and drink access to an exceptional lineup of culinary and refreshment options. 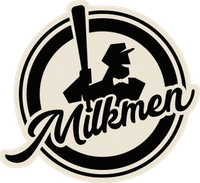 Milwaukee Sausage Co., meanwhile, will be the title sponsor of The Milkmen Combo Section – Crafted by Milwaukee Sausage Co. Fans sitting in the Right Field Terrace and Bleachers will qualify for the Milkmen Combo, which includes a complimentary Milwaukee Sausage Co. hot dog and a craft beer or Coca Cola product. Other Milwaukee Sausage Co. handcrafted sausages will also be available throughout the Routine Field Concourses. Additionally, in a nod to the Milwaukee Milkmen nickname, Wisconsin’s proud dairy history, and to honor Wisconsin Dairymen and women, WaterStone Bank will be the sponsor of the WaterStone Bank Pastures, which consists of Routine Fields’ lawn seating. The WaterStone Bank and Milwaukee Milkmen partnership will benefit Hunger Task Force, Milwaukee’s only free and local food bank and Wisconsin’s anti-hunger leader. Every strikeout recorded by the Milkmen will result in a donation to the Hunger Task Force by ROC Ventures. Fans will have the opportunity to join the Milkmen in pledging to support their donation effort. For more information about Routine Field’s sections, visit the “Ballpark” tab at www.MilwaukeeMilkmen.com. ROC Ventures manages a collection of brands in the sports, entertainment, and real estate sectors. These include the Milwaukee Wave, The Rock Sports Complex, two Summer College Baseball Franchises, and the Ballpark Commons development. ROC stands for “Return on Community,” a goal which informs each and every endeavor undertaken by the organization. For more information, visit www.rocventures.org.